Learn how to manage multiple pipelines for your sales, marketing, and project management needs in Nimble. There are a lot of moving parts when you’re managing your sales, projects, and press outreach and quite frankly, nothing fits the same mold. To help guide you on your journey, we’ve released multiple pipelines for our deals tab. With today’s update, you may now create unlimited pipelines with different stages to stay Nimble with your day to day operations. Is this available on the Legacy plans? No. This feature is not available for our Legacy plan, upgrade today! Is there a limit to the number of pipelines I can create? No, there is no limit to the number of pipelines you create. Can anyone on my team create a pipeline? Yes, but your account administrator will need to add permissions under Settings >> Users. Multiple pipelines are available for our Nimble Business plan with no limit on the number of pipelines. Go to Settings >> Pipelines to get started now. Select "Add Pipeline" to create a new pipeline. For a pipeline to save, you must have at least one stage. Add your stages, names, and limit of days in each stage. That's it, you've successfully created another pipeline! 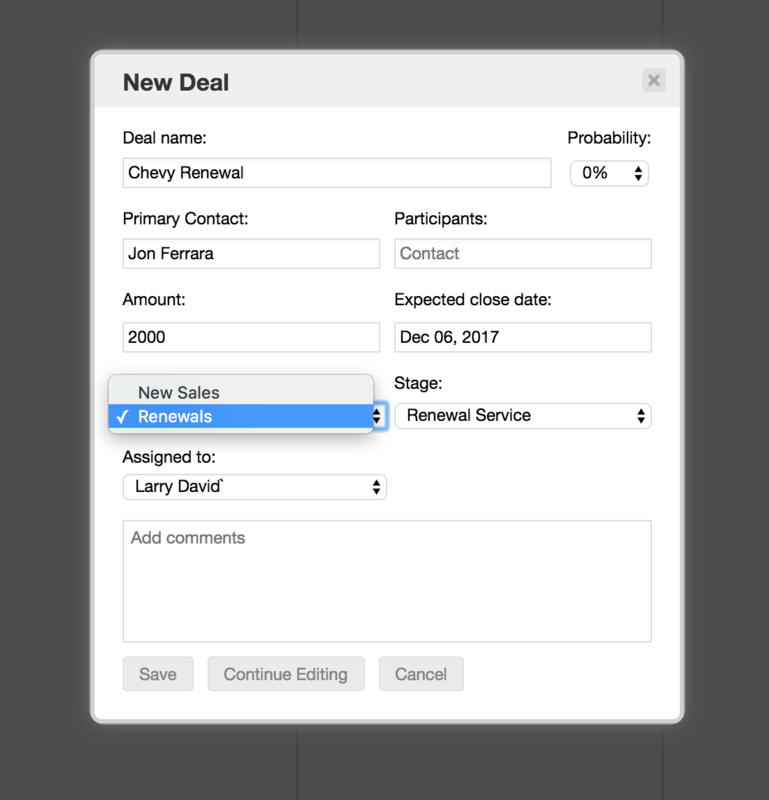 Select "New Deal" to bring up the Deal pop up. 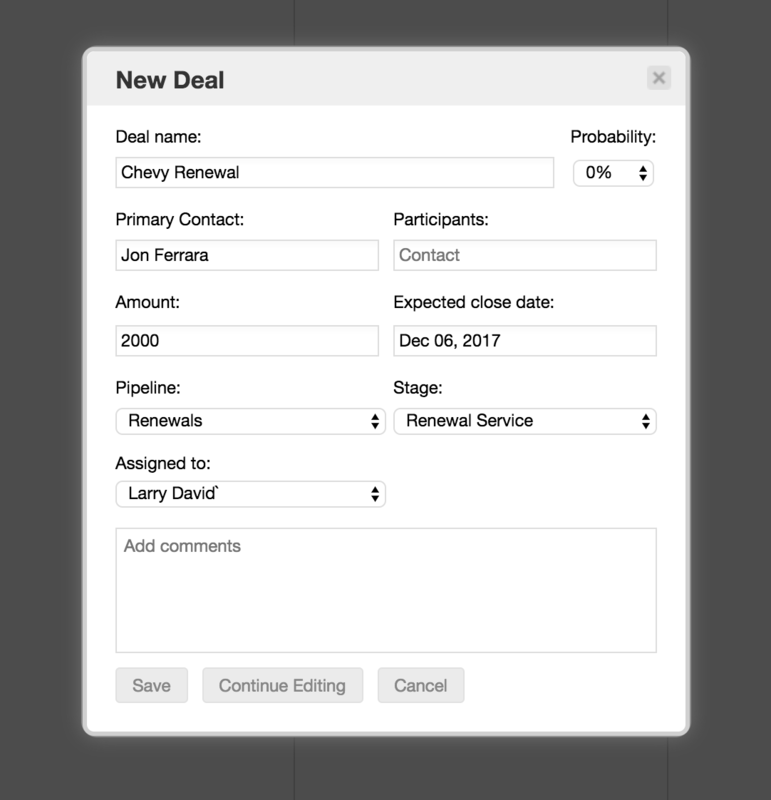 On the Deal Pop-up, you'll see the Pipeline field, which allows you to move the deal to the Pipeline of your choice. Note that when you select a Pipeline, the Stage values will change to be those associated with that Pipeline. If you are on a Deal itself, you can select "Pipeline" to adjust the Pipeline and the Stage values. If your company operates across different verticals, sells multiple products, or has distinct funnels (renewal, upsell new sales), you’ll need the flexibility to track these separate sales processes in a single source of truth rather than across multiple applications, spreadsheets, or even worse, sticky notes on your desk. Say your organization is split up between Sales Development Representatives who book demos and meetings for Account Executives, AE’s that then Demo and Close New Business, and Account Managers who upsell and renew clients. Managing all three of these processes will require three different workflows. Each of these workflows can easily be configured into stages that meet your needs in your Nimble settings. While Nimble is often thought of as a sales tool, we’re also awesome for your PR and Marketing efforts, too! Now, Marketing and Sales both can utilize Nimble’s Pipeline feature to its fullest and they can keep their workflows separate as well. Be sure that your organization can organize, prioritize, and synergies on all of your projects under one solution. If you’re working on press release or other documents for the deal, it’s easy to attach files from OneDrive, Dropbox or Google Drive to the deal for easy document tracking. Open a deal to see your relationship history, tasks, events notes, and other social insights related to people and companies involved in the deal. Easily configure stages unique to your pipeline workflow. In addition to managing your sales, you might need a simple way to manage tasks related to projects that you work on throughout your week. 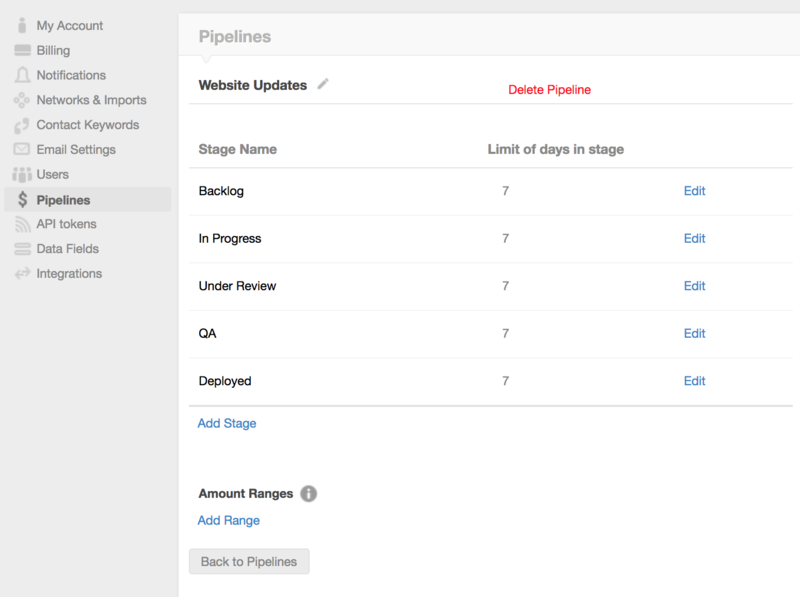 Just navigate to Settings >> Pipelines and add the stages for your project to have a simple Kanban board to manage your tasks. See the status of your projects from our simple Kanban Board view. 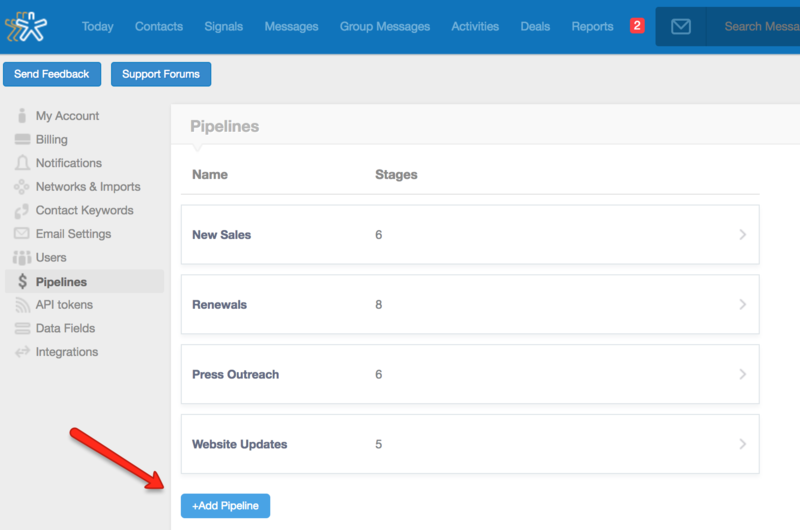 While managing your deals on separate pipelines is nice, you can also view reports for each of your pipelines on the Reports tab in Nimble. Check out the performance of each pipeline to see where your team needs to focus their efforts. Simply switch between pipelines to see where you need to focus your needs.